The sliver of black glass at the bottom gives this award the illusion of an eclipse. It is perfect for any occasion with the right touch of elegance. 7 1/2" x 7 1/2" x 3"
8 1/2" x 8 1/2" x 3"
Our Eclipse Award is crafted of starfire crystal and features a flame shape. 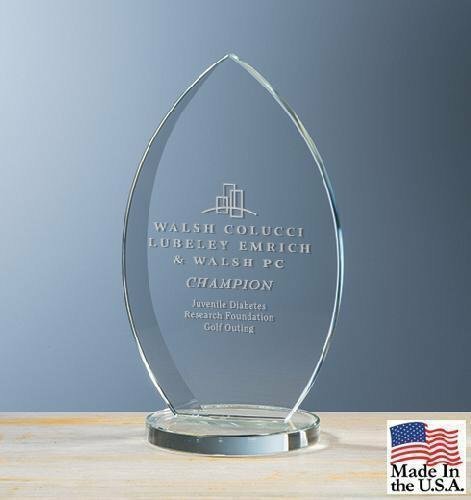 Set on a distinctive crystal base, your elegant award is available in three sizes.